1. Only people who are permanent residents of The Republic of Cyprus and are 18 years old and older can participate in the Scratch & Win Campaign. 2. The employees of The Mall of Cyprus, security personnel, cleaners and any other person who works for The Mall of Cyprus or is associated with the specific campaign, do not have the right to participate in the campaign. 3. One ‘Scratch & Win’ scratch card is given for every 20 euros spent from 10 September up to and including 10 October 2017, at any shop found at The Mall of Cyprus only. 4. The ‘Scratch & Win’ scratch Cards are available upon presentation of purchases receipt at the Information Desk on the ground floor of The Mall of Cyprus, from 10.00am to 8.00pm Monday to Friday, from 9.30am to 8.30pm on Saturday, and from 11.00am to 7.00pm on Sunday. 5. If an amount is left over from any receipt, this can be used in combination with future receipts to complete the minimum amount of 20 Euros. 6. There will be 5 winners during the campaign, who will each get 500 Euros in the form of predetermined, specific shop vouchers. 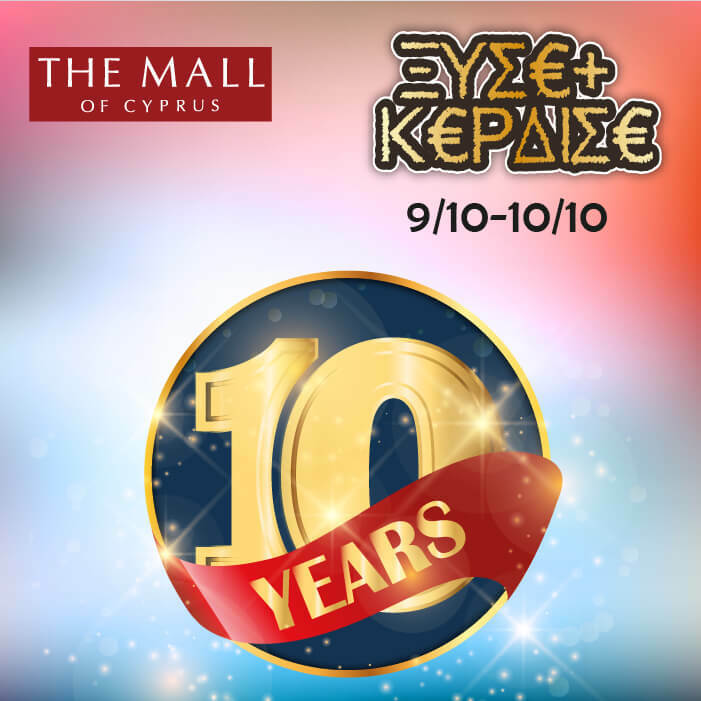 The vouchers are listed in detail at www.themallofcyprus.com and in The Mall of Cyprus Facebook page. 7. The prizes are as stated in Term 6 and cannot be changed or exchanged in any way. 8. The Mall of Cyprus reserves the right to change any term of the Scratch & Win campaign without prior notice. 9. Every winner can collect his/her gift personally upon presentation of the winning scratch card.